We use Topaz Labs filters here at Nikon Blog and we LOVE them. Especally Topaz Adjust which is our all time favorite post-processing filter. Now you can get 10% off on any Topaz Labs product with this special coupon code: HDRIT. Click here to find out more about Topaz Labs products and order yours now using the discount coupon code. Here's a handy tip... Ever need to find out how many photos you've taken with your camera? I've always been asked about the total shutter count (shutter actuations) whenever I've tried to sell a digital camera, and also wanted to know the answer whenever I look to buy a used camera. In general, knowing how many times the shutter has fired on your camera is a pretty handy piece of information to have since it tells you a lot about how much usage the camera has actually had. The number of shutter actuations can easily be read from the photo's EXIF data if you shoot in the RAW format (which for Nikon cameras means files with a .NEF extension). The shutter actuation count is incremented and stored in each NEF file and can be accessed via a few different EXIF readers, as well as by Adobe Photoshop if you know where to look! Here's a quick how-to on how to access this information in your EXIF data. Using Photoshop, open the NEF file of the most recent photo you've taken (you need to shoot RAW, as the data isn't stored in JPEG files). Then, from the Photoshop File menu, select File Info ..., as shown in the screenshot to the left. This will open up the file information window like the one displayed below. When it opens, select the Advanced tab and then look for the section that says Schema (http://ns.adobe.com/exif/1.0/aux). Toggle it to open the folder and show the enclosed items and look for aux:ImageNumber: - this is the number of shutter actuations for your camera and this number gets incremented by 1 every time to take a new photo. In the shot below, the number is 6,349. Voila, that's how many times your shutter has fired. Take the editing and sharing ease of Photoshop.com wherever you go. Adobe Photoshop Express software for iPhone, iPad and Android is more than a mobile photo editor, it lets you upload, view and share your photos. Click here to find out more. 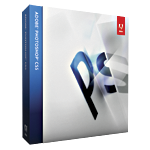 Adobe® has just release Photoshop® CS5 which can be purchased alone or as part of the Adobe Creative Suite 5. Photoshop CS5 software redefines digital imaging with a strong focus on photography; breakthrough capabilities for superior image selections, image retouching, and realistic painting; and a wide range of workflow and performance enhancements. To find out more about the exciting new Photoshop CS5 features geared to photogaphers, click here.